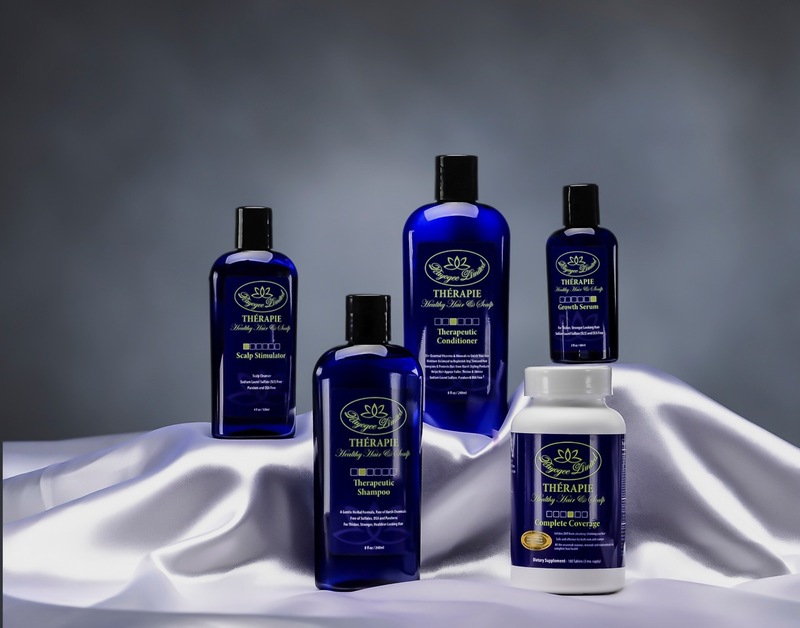 All products you need to maintain cleanliness in your scalp and hair. 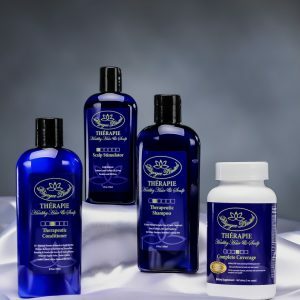 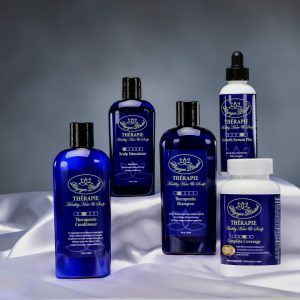 These products were created with clinically approved formula to fight hair and scalp conditions and promote hair growth. 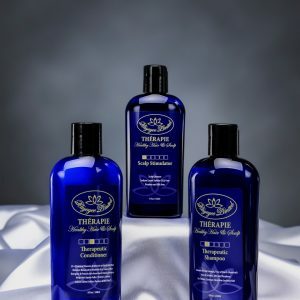 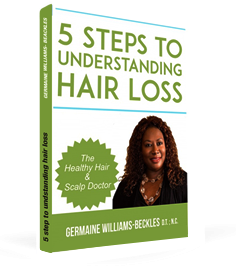 Enjoy scalp cleansing, herbal shampoo, herbal conditioner, scalp stimulator, Thérapie 90-day Complete Coverage and with the added product of the Growth Serum to assist hair growth process naturally.